Buy any 2 lessons including group lessons get $10 off.. I KNOW YOU WILL WANT MORE SO CALL ME..
Group Lessons $45 -- 2 hours at your club. 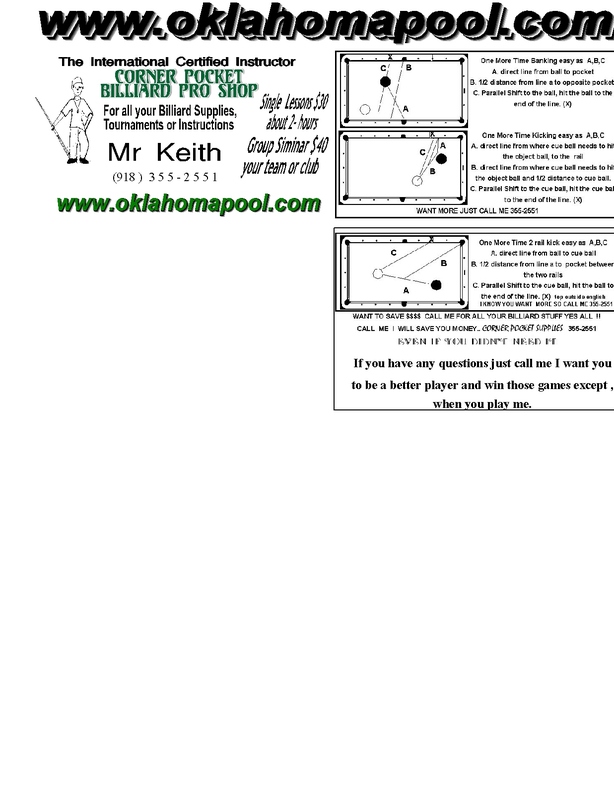 great for all, let me tell you about The benefits of more people playing pool at your place.. Private lessons : Now Learn How to Jump for Free - call me . Mr. Keith Costigan has: Promoted ,Published and Produced International Winners..
Valley International Certified Instructor : Mr. Keith 1998,2000,2002,2004,2006 soon 2011..